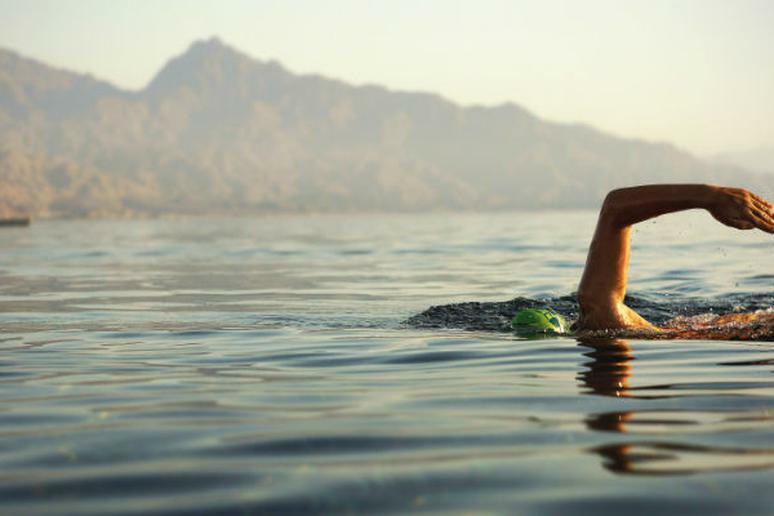 So you originally picked up swimming as an exercise to get fit, but it has become your favorite hobby. With the weather getting nicer, you’re now thinking of ways to spice it up a little bit. However, prior to swapping the pool for the sea, you have some training to do. Before you pick a gorgeous place for open water swimming, you have to conquer the fear of getting out of the comfort of the pool and entering the untested area of swimming with currents, dozens of people in close proximity, no hard surfaces to rest on, and not being able to touch the bottom. “People grabbing you used to make me panic,” says Jenna Parker, former professional triathlete, 3x USLA National Champion, and a 2013 Aquaphor NYC Triathlon winner. “It gave me anxiety so I learned to use mantras.” Repeating to yourself words like “Relax, relax” will prevent you from thinking about anything else. There is no way around it – to get ready for open water swimming, you have to actually get out of the pool. “You have to put yourself in the same situation as during a race,” Parker says. Start by getting in the water last so you’re not in the middle. When you feel comfortable in that situation, move to the side so you have a few other swimmers close to you. Eventually line up in the front when everyone else will be swimming behind you and chasing you. Practice, practice, practice, Parker adds. Then move on to bigger groups. Don’t get too excited about swimming long distances in the sea. “Get comfortable swimming 12-20 lengths in a row in the pool before open water,” Parker says. “There is no easy way to rest in open water,” she adds. After that, whether you start training in a lake, river or sea depends on where you live. “Just show up and get used to swimming next to people.” Stay on the outside at the beginning and gradually move towards the middle, which will probably be intimidating in the beginning. There will be no black line guiding you when you swim in open water and you’ll have to lift your head quite often in order to see where you’re going. “Practice the motion in the pool to develop the muscles,” Parker says. “Pick your head up and turn.” When you’re outside, sight certain points in order to stay on track. “I’ll pick a tall building to use as a guide,” she adds. “The wetsuit does a really good job at keeping you warm,” Parker says. So if you wear one when the water is warm and the temperature outside is high enough, you can give yourself heat exhaustion. This can result in confusion, dizziness, fainting, headache and fatigue – none of which are to your advantage when you’re in the water with lifeguards many feet away.